BRYAN EATON/Staff Photo. 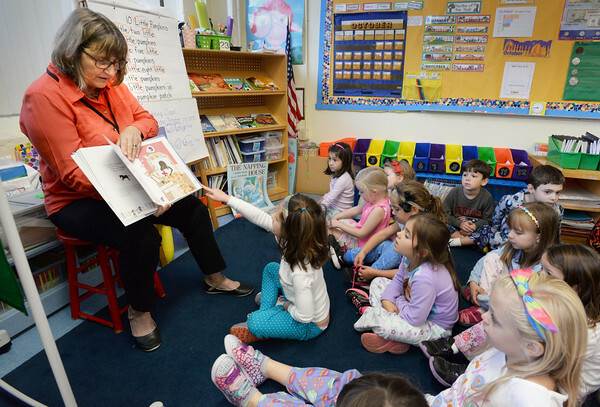 Local author Laurie Collins reads her book "The Pajamas of My Dreams" to youngsters at the Immaculate Conception School in Newburyport on Friday. It was the letter "P" week and many wore their pajamas to school and also held a pajama and bed book drive to donate the Pajama Program for those in need.